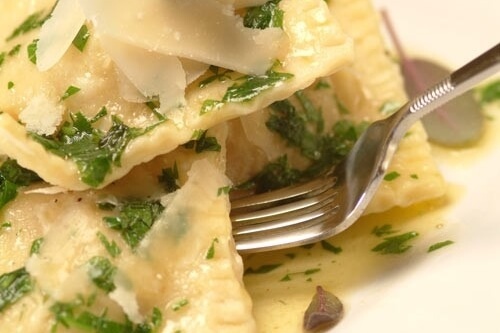 Melt 25g of butter in the large saucepan then fry the onion, broccoli, basil and thyme over medium heat for 5 minutes. Add the sliced mushrooms and cook until just tender (approximately 3 minutes). 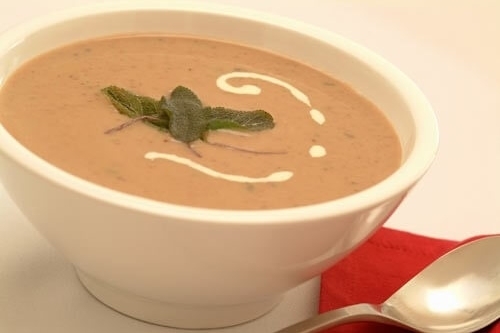 Lower the heat and stir in the mushroom soup, milk, and pepper to taste. Cook over low heat for 10 minutes, stirring occasionally. While the vegetables are cooking, prepare the crumble topping in the medium mixing bowl. 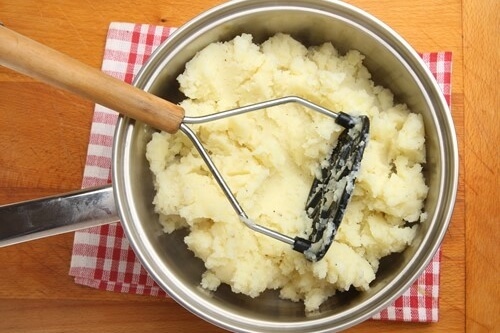 Use your hands to rub the 100g of butter into the wholemeal flour until the mixture resembles bread crumbs. (Remember to remove any rings before rubbing the butter and flour). 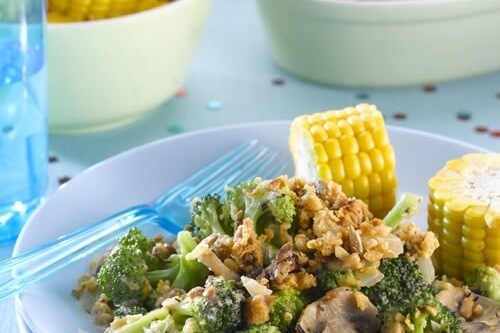 Pour the broccoli and mushroom mixture into the ovenproof dish, then, using the back of a spoon, press the crumble mixture on to the vegetables. Still using your hands, mix in the cheese, nuts, and seeds. Allow the crumble to stand for 5 minutes before serving.